Chocolate with coconut is a classic. These two flavors work so well together that they seem to be made for each other! This frozen treat is super easy to make. 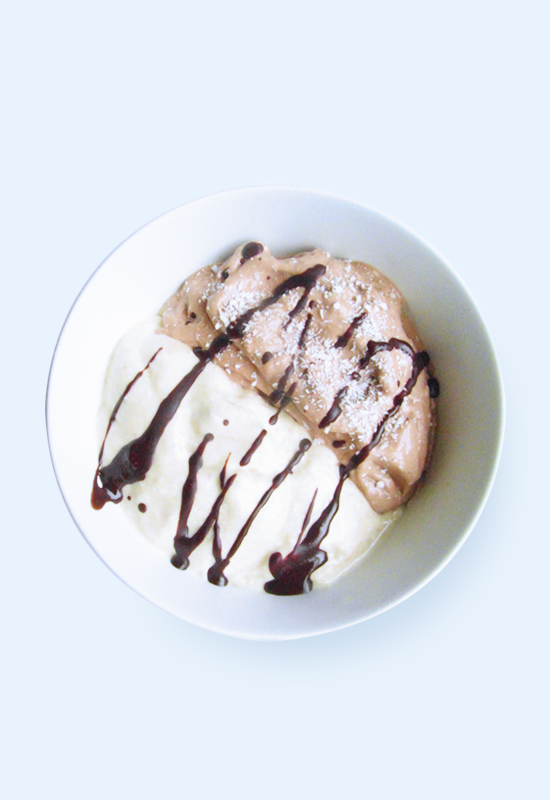 You don’t need an ice cream machine for this sugar-free vegan chocolate coconut ice cream. All you need is a blender, a freezer and 5 ingredients that you probably have at home anyway. This type of ice cream is also known as nice cream and besides being yummy it is actually very good for you! Plus since it doesn’t contain any of the major allergens, almost anyone can eat it. Besides having it for dessert, it’s great as breakfast on a warm day or as a quick snack. Use very ripe bananas, the riper the better. Soft, brown-ish bananas are perfect for nice cream. Cut the bananas in slices and freeze them in a container or bag for at least 12 hours. The freezing time really makes a big difference in both taste and texture. Mix the frozen banana with the coconut cream and coconut oil in a food processor or blender until you get an ice cream like consistency. Separate the ice cream into two parts. 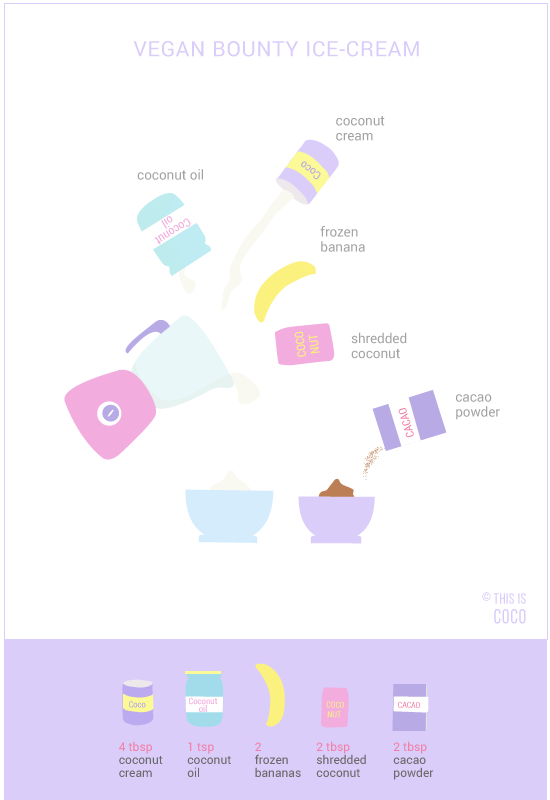 Blend half of it with the shredded coconut and the other half with cacao powder. The frozen bananas make it naturally sweet, but if you want it sweeter, you can add some medjool dates to it. Serve and eat right away. Because it’s 100% natural and doesn’t contain any additives, it melts faster than what you’re used to from most store-boughtl ice cream brands. 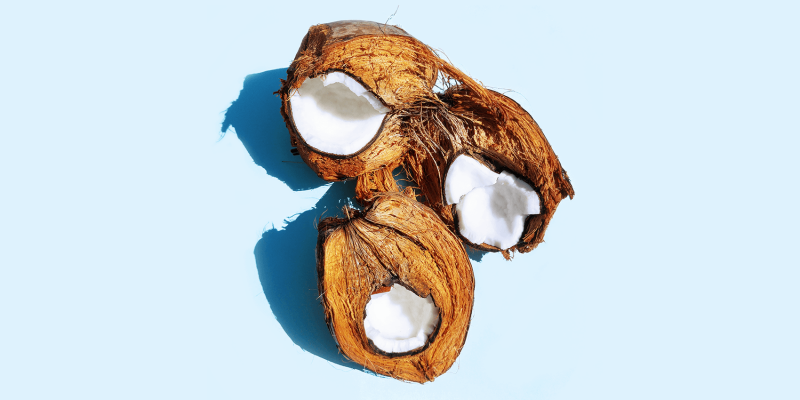 Optional: top your sugar-free vegan chocolate coconut ice cream with shredded coconut. If you feel like more chocolate, make your own chocolate magic shell by mixing melted coconut oil with cacao powder and a sweetener.